The sun is finally shining! 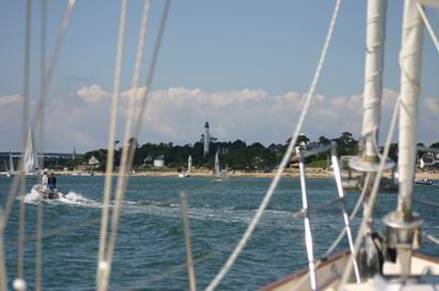 We left a very sunny mooring at Sainte Evette for Benodet. Unfortunately had to trade sun for wind and had to motor all the way. But it gave us a chance to get started with some long overdue varnishing and cleaning. 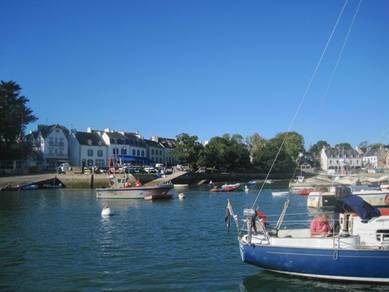 Benodet is a lovely place and we’ve got a great spot on the visitors pontoon in Sainte-Marine, on the west side of the river looking across at the town on Benodet. A very friendly French couple moored behind us soon invited us a board for drinks and nibbles, before we went out for dinner in the most picturesque surrounds! When we said we were going to the Caribbean they decided to offer us a homemade rum concoction, it looked like muddy water so we were a bit dubious but it was actually really nice. 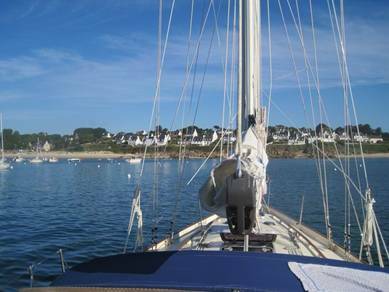 Today we’re heading for the Iles De Glenan which are described as being the closest you can get to Caribbean in France.